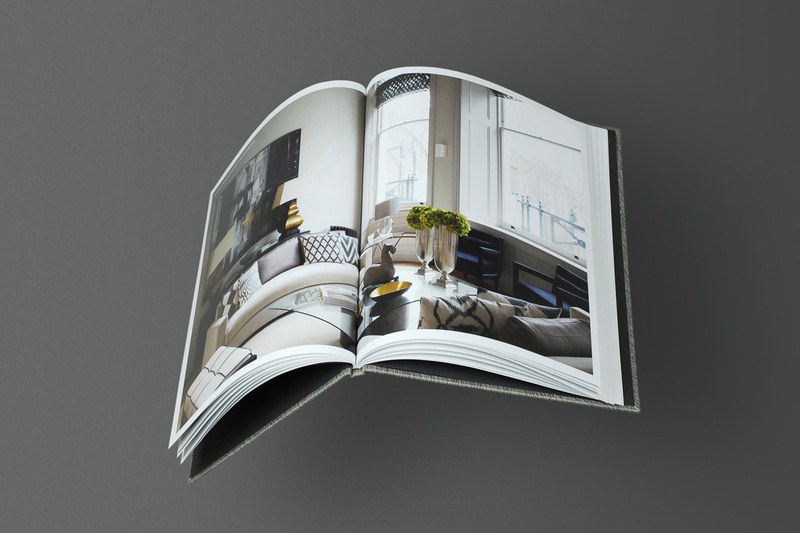 Decoroom offer a unique, creative solution to furnishing show homes and properties for sale. 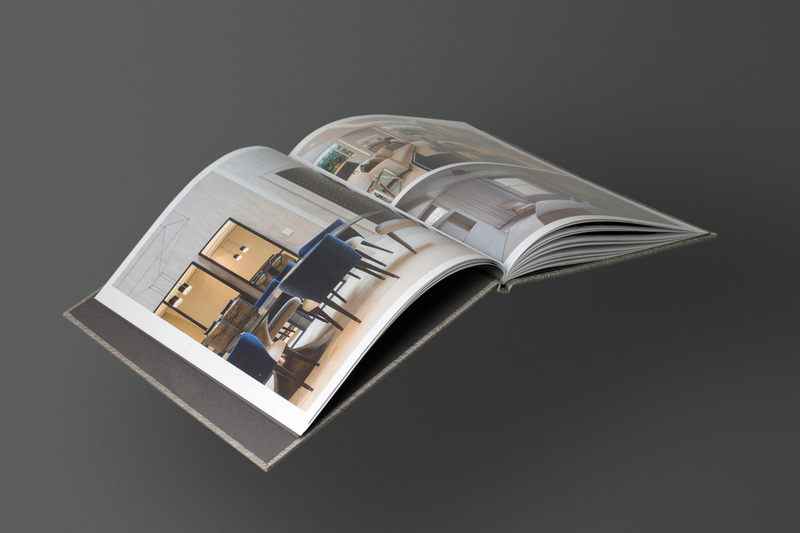 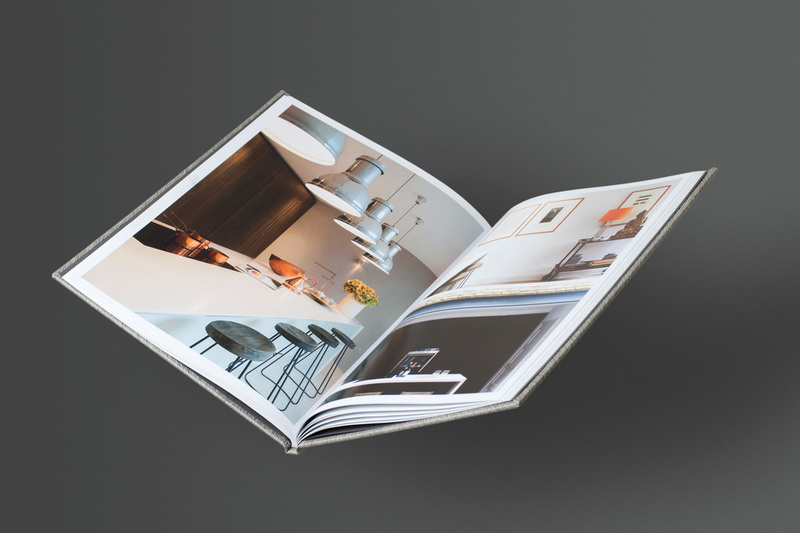 Working closely with estate agents, developers and private clients, Decoroom create stunning interiors using their vast collection of carefully collated pieces on a rental basis. 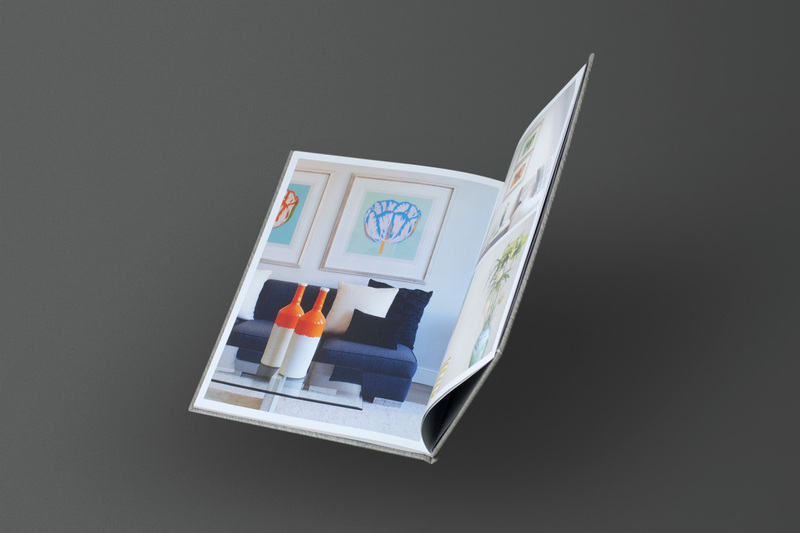 Perfect for temporarily furnishing a high-end property, showing it at its best. 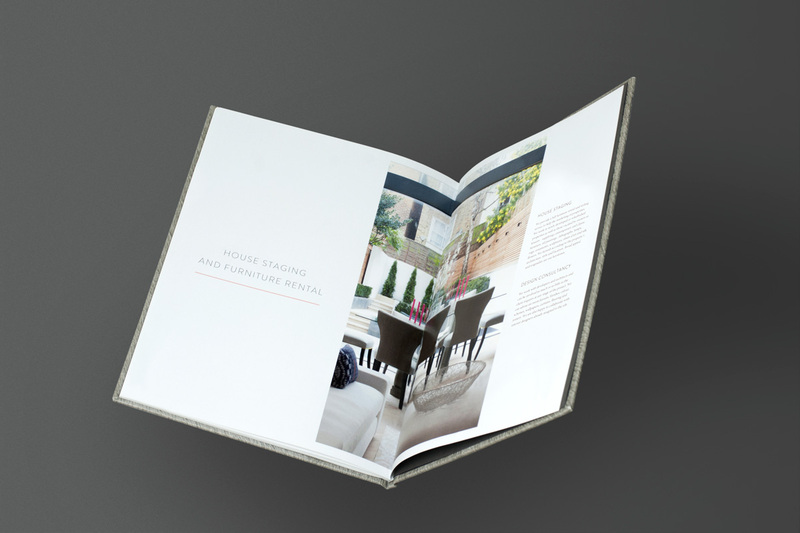 Parent designed a brochure to capture and showcase their portfolio of work to potential clients. 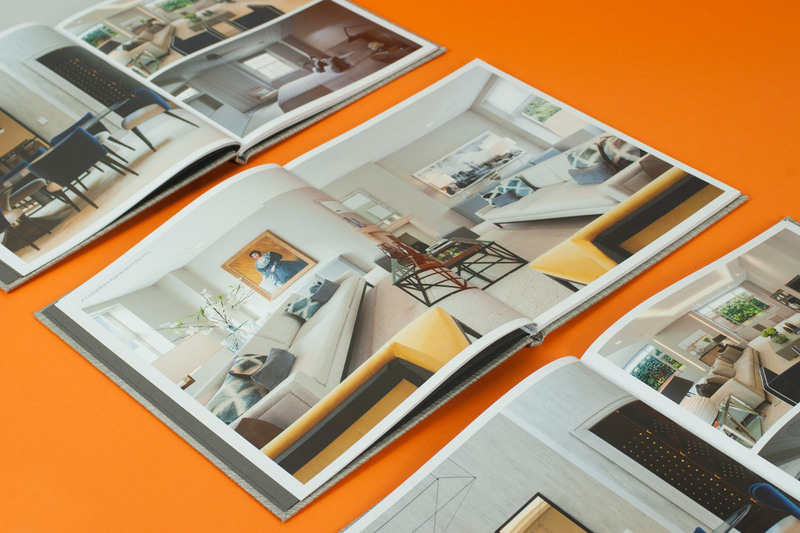 A minimal layout presents the photography as the hero of the hour, showing of every detail of Decoroom’s work. 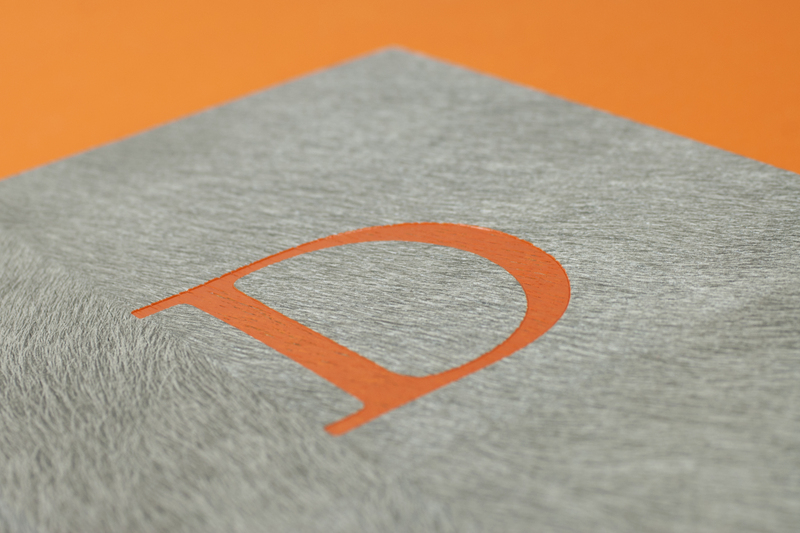 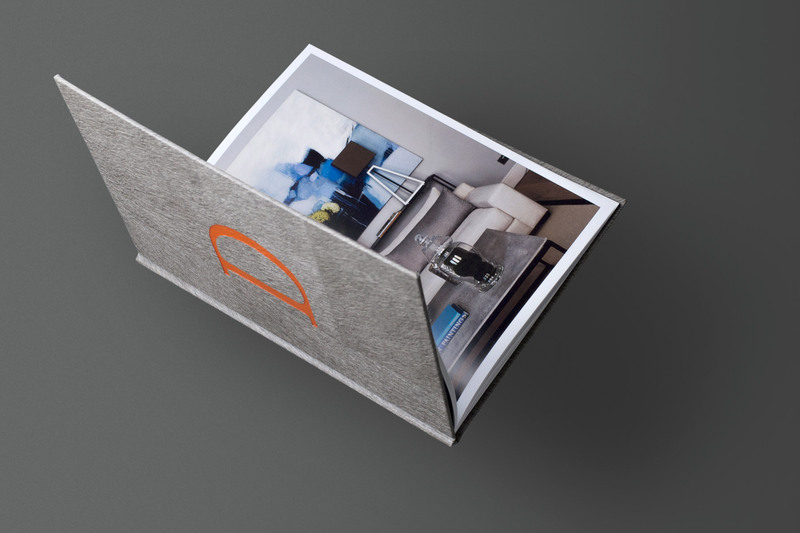 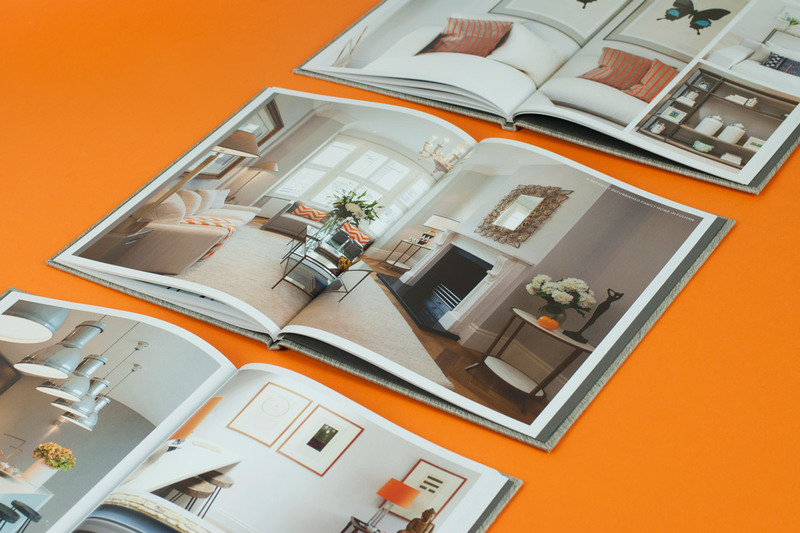 We worked closely with the geniuses at Opal to use one of Decoroom’s signature materials, a pony skin wallpaper as the cover, complete with a contrasting orange foiled ‘D’ from their logo. 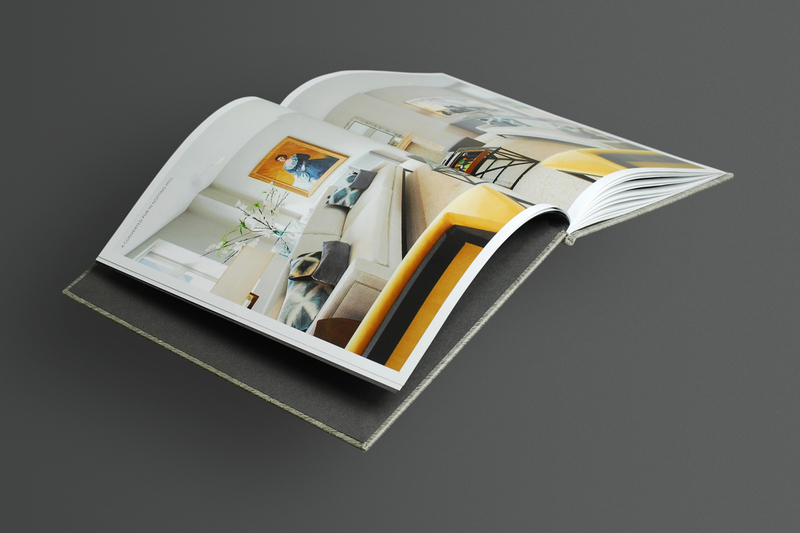 Tactile, luxury wallpaper was used to cover a traditional case bound style book.